I will be reminded soon enough when we get home to Lancashire in a few days. In fact the climate in Bethlehem is not remotely cold. The average day temperature in December is a mild 14C, dropping to 7C at night. Frost and snow are unknown. Maybe when Christina Rossetti wrote those lines she was thinking of Lancashire. Rossetti was born in 1830 in London to a clever and artistic family. Her father was a poet and political exile from Italy, her mother was an acquaintance of Lord Byron and Lewis Carroll, and her brother Dante Gabriel became a noted artist and leading figure in the Pre-Raphaelite movement. In 1862 she published Goblin Market and Other Poems and in 1866 The Prince’s Progress and Other Poems, both with frontispiece and illustrations by her brother. These two collections, which contain most of her finest work, established her among the leading poets of her day. She was considered to be the natural successor to Elizabeth Barrett Browning. In the Bleak Mid-winter was published, under the title A Christmas Carol, in the January 1872 issue of Scribner’s Monthly. There are two popular settings of In the Bleak Mid-winter as a carol. The first was written in about 1906 by Gustav Holst, who later composed the Planets Suite. It is considered more suitable for church congregations than the second, by composer and organist Harold Darke in 1911, which is a complex melody and harder to sing. 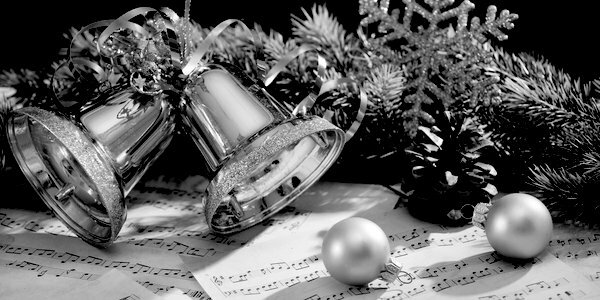 The Darke version was voted Best Carol in a 2008 BBC poll of choirmasters and music directors. Here is Holst’s setting in a performance at Gloucester Cathedral shared by the choir and the congregation. Here is the Darke setting by the choir of King’s College Cambridge, and here is another performance by the same choir in score form. Even if you think you can’t read music, you can pick up a lot by following scores like this. Christina Rossetti was a devout High Church Anglican and rejected three offers of marriage for religious reasons. She suffered from depression throughout her life and died unmarried at 64 from breast cancer in 1894.